Title name of the book is “Jabar Aur Jamhuriat” Constraint and Democracy. Written by Kalsoom Nawaz Sharif. 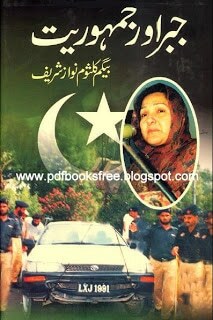 Story of the take over of Pervez Musharraf against the Chief Minister Nawaz Sharif on 12th October 1999, and struggle of his wife Mrs. Kalsoom Nawaz for the freedom of his husband….